The “Arroyo” golf course at Red Rock Country Club is Arnold Palmer’s latest contribution to the Las Vegas Valley golf scene. 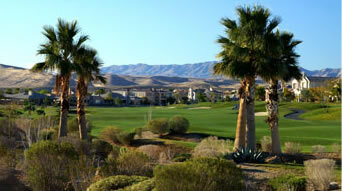 Located adjacent to the Red Rock Country Club, Arroyo provides guests with all the ambiance and beauty of its sister course, but is available for all comers to play. 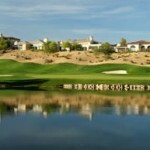 The golf course blends the natural desert features that highlight the western portion of the Las Vegas Valley with the playability of a high quality traditional layout. 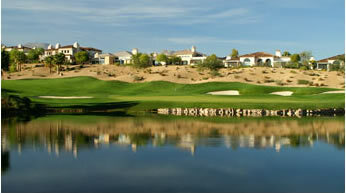 The combination of the traditional layout set in the natural desert terrain makes for a unique golf experience that is enjoyable for players of all skill levels. Bold bunkering, handsome water hazards and the stark contrast of emerald greens against the tanned desert sand, make Arroyo as visually striking as it is a challenge to play. 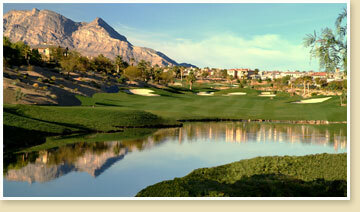 One of the best features of the “Arroyo” course at Red Rock Country Club is the overall golf course condition. The course features bent grass greens that are kept in outstanding condition and are the highlight of a very well maintained daily fee golf course. The Arroyo course is a course that should be on anyone’s must play list if they are looking for a top quality facility that isn’t necessarily brutally difficult. 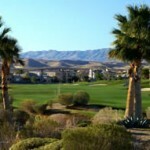 Book Red Rock Country Club – Arroyo Now! 2019 Maintenance Schedule: Aeration 4/17-4/18/19.